The landscape for Virginia’s 2018 Individual On-Exchange Marketplace continues to change. BeneFinder, in partnership with The Medical Society of Virginia, has developed this fact sheet to help offer guidance and solutions through this transition. No carrier has exited the exchange or reduced their coverage area. Anthem made the decision to re-enter 42 localities – see Coverage Map. 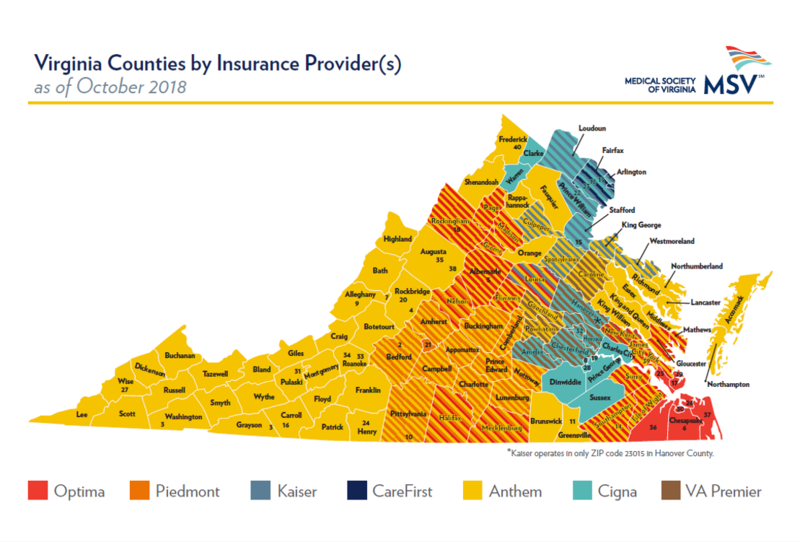 VA Premier is joining the exchange in the Richmond area – see Coverage Map. The open enrollment period did not change – November 1st to December 15th. It is important that you know all of your options. Depending on your situation you may qualify for coverage outside of the Individual Marketplace. Make sure you contact an Agent to determine if you qualify for a premium subsidy and to find the best available plan. Sole Proprietor Group Health Insurance – a new Virginia law was passed effective July 1 that now allows a sole owner of a business to be eligible for small group health coverage. Small Group Health Insurance “special exemption” – for a special 30 day enrollment period (Nov 15th to Dec 15th) you may be eligible to purchase small group health insurance and be exempt from both the employer contribution as well as participation requirements.